The 6th-seeded ’84-’85 Edmonton Oilers got off to a fast start thanks to a goal from Mike Krushelnyski just 33 seconds in. That start didn’t last though as the top-seeded ’78-’79 Montreal Canadiens ended up outshooting the Oilers in the first period. 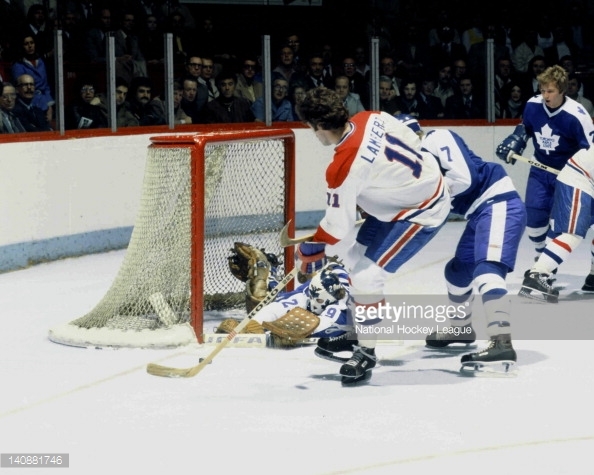 The opening period also ended tied at one because of a goal from Guy Lafleur at the 14:59 mark. Then, just six seconds into the second period, Krushelnyski got Edmonton off to another quick start with his second of the game and 16th of the tournament. Once again, the early start did not translate over the entire period. Defenseman Brian Engblom scored his first goal of the entire tournament six minutes to tie the game at two. Then, with five plus minutes left in the period, Bob Gainey gave Montreal their first lead of the game with his fourth of the tournament. The Oilers had their first PP opportunity early in the third period and capitalized thanks to Jari Kurri‘s 24th of the tournament. The game remained tied at three until just past halfway through the third when Engblom scored his second of the game and tournament to give the Habs another lead. This one didn’t last either because Kurri scored his second of the tilt to tie the game at four. Regulation ended with that score and this game became just the second game ever in the Ultimate NHL Final to go to overtime. The Oilers found themselves in a deep hole early in OT with two-minute minors to Jaroslav Pouzar and Dave Semenko. Despite having over a minute of 5-on-3 PP time, the Canadiens were unable to beat Grant Fuhr. Then, at the 13:34 mark, a two minute-minor on Gainey gave the Oilers their own PP opportunity. However, less than a minute into the PP, a Fuhr rebound was kicked out and slammed into the net by Yvon Lambert for the OT-winning, shorthanded goal. The Habs live on to fight another day! They will try to force a Game 6 on Wednesday night! This entry was posted in Ultimate NHL Final and tagged Bob Gainey, Brian Engblom, Dave Semenko, Edmonton Oilers, Grant Fuhr, Guy Lafleur, Jari Kurri, Jaroslav Pouzar, Mike Krushelnyski, Montreal Canadiens, Ultimate NHL Final, Yvon Lambert. Bookmark the permalink.